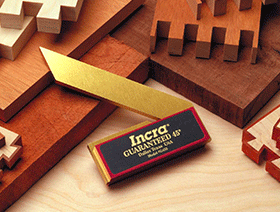 INCRA's new line of Precision Squares and 45 degrees are the most accurate you will find anywhere. 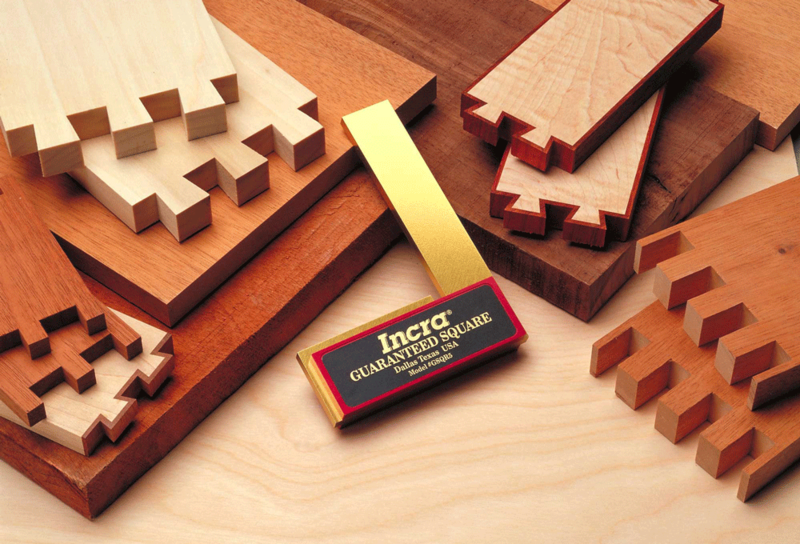 We're so proud of their quality that Guaranteed is more than just our promise - it's our name! 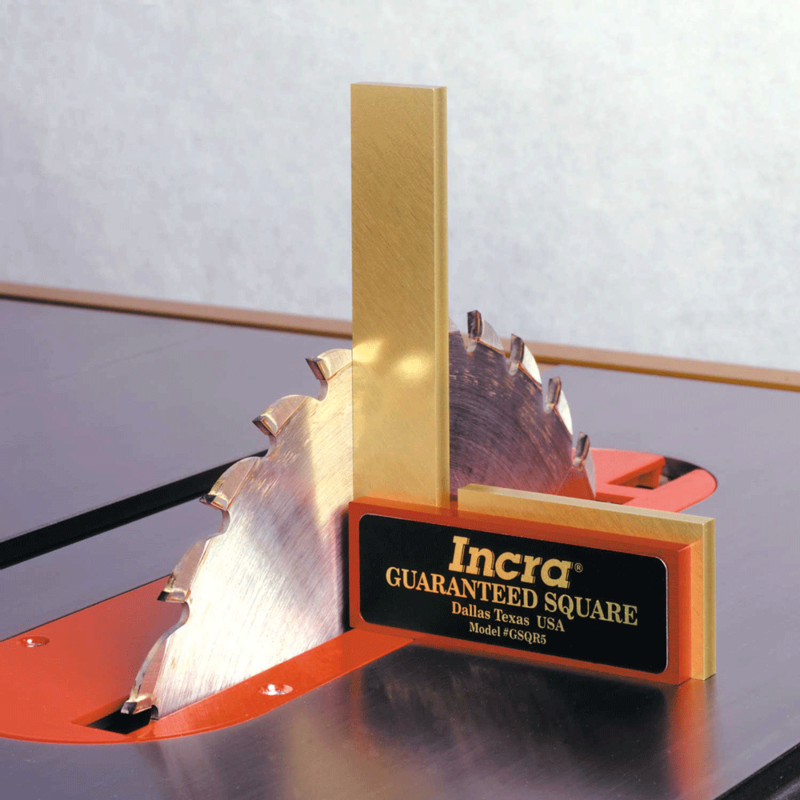 Each INCRA square is guaranteed +/-0.001" from nominal along either side of the blade! 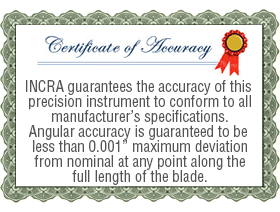 Unlike conventional tools that use separate blades and handles, our innovative design uses the most advanced manufacturing methods available to carve a solid 1/4"-thick slab of hardened aluminum into a one-piece, gold-anodized spine that serves as both the central part of the handle and the blade for exceptional accuracy and consistency. 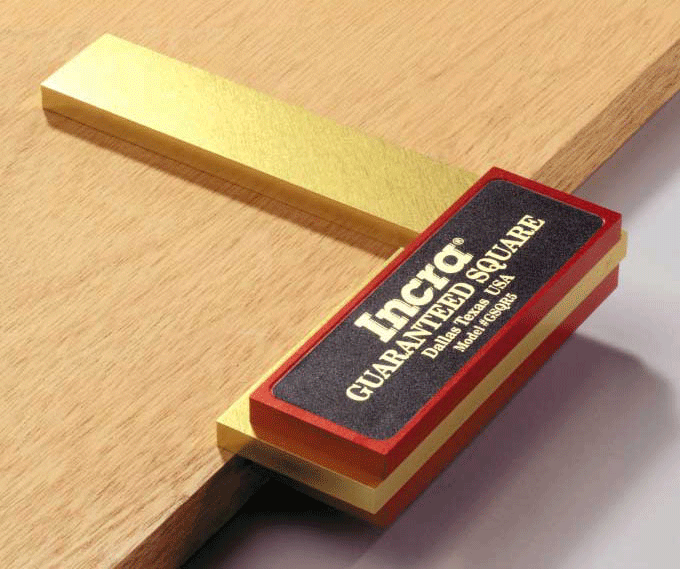 The spine also projects beyond the handle's cheek plates on the inside of the square, producing a support lip that makes it easier for the user to keep the handle flat on the edge of a board. There's even a recess machined into the spine's inside corner to keep the fuzzy corner of a board from affecting your measurement. 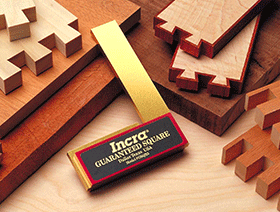 The hefty construction of the Squares just feels right in the palm of your hand. And unlike conventional two-piece designs, the layout angle of our rigid, one-piece body won’t get “bent out of shape” when you drop it! 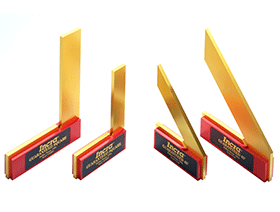 Our trademark gold and red hardened anodized surface is not only durable, but beautiful, and it won’t tarnish like brass. 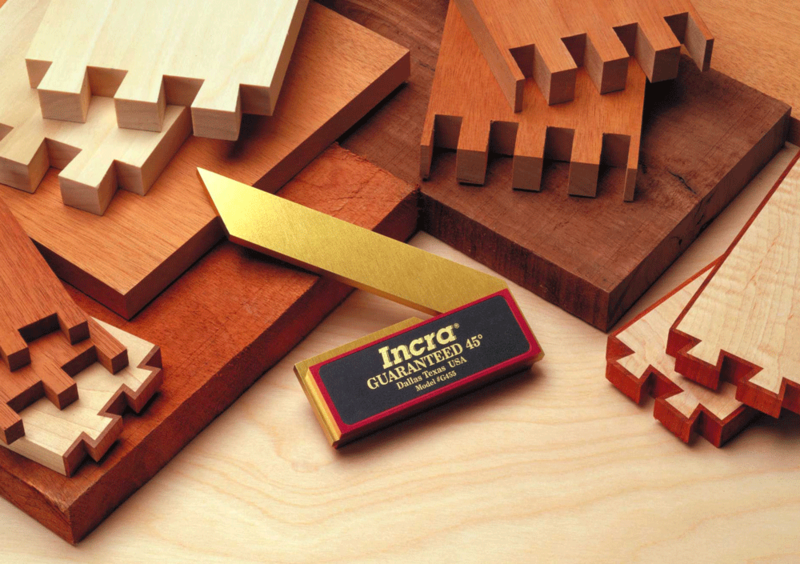 The hefty construction of the Angles just feels right in the palm of your hand. And unlike conventional two-piece designs, the layout angle of our rigid, one-piece body won't get "bent out of shape" when you drop it! 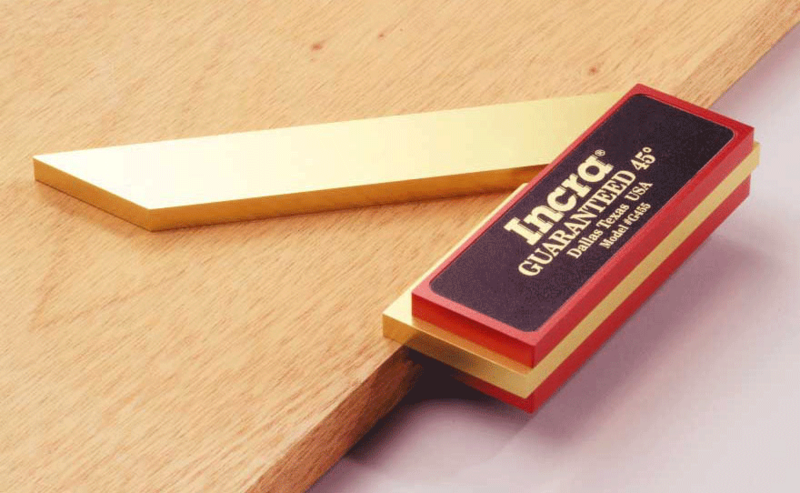 Our trademark gold and red hardened anodized surface is not only durable, but beautiful, and it won't tarnish like brass. Combine this with our modern, functional styling and you've got a tool that is worthy of the most prominent location in your display cabinet (when you're not using it, of course). 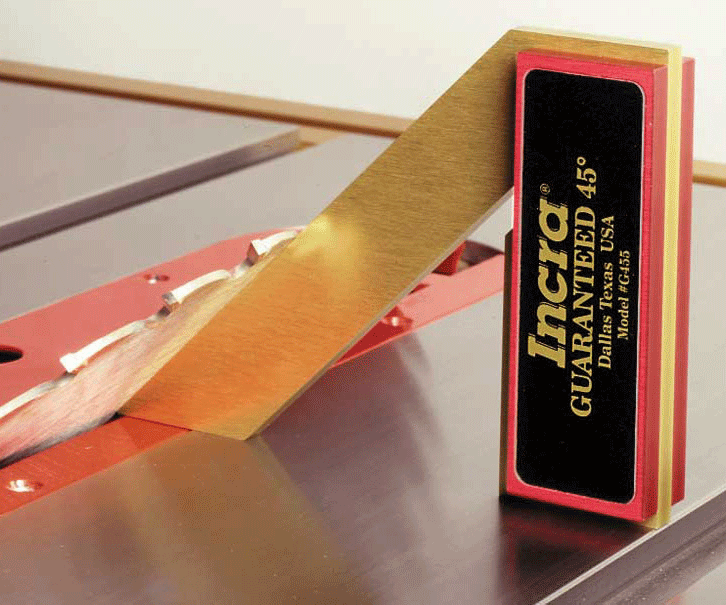 Support lip holds the tool on the edge of the workpiece for marking and layout. 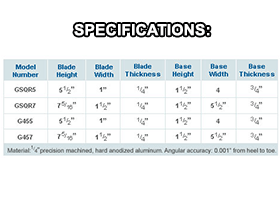 Set cutting tools to the perfect angle. 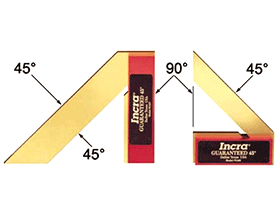 Support lip holds the tool on the edge of the work-piece for marking and layout.